Haas Automation has been voted one of Technavio’s top five leading vendors in the global CNC horizontal machining centers. The largest machine tool builder in the western world, Haas automation produces high-quality CNC machinery in their southern California plant. 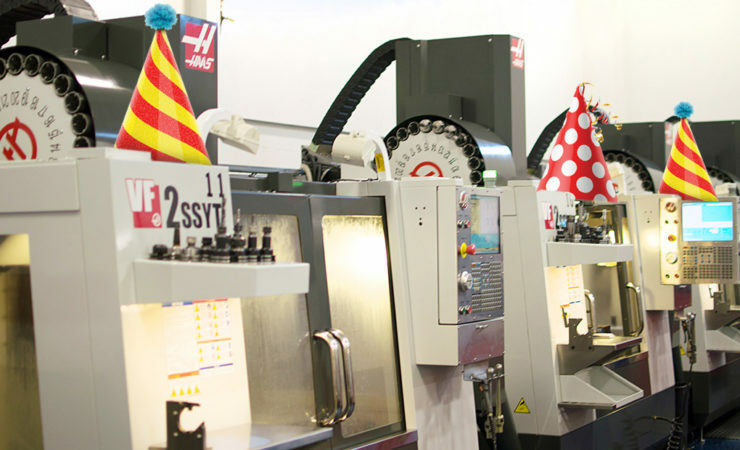 Haas Automation milling machines incorporate a variety of advanced features including single-button controls, a wireless intuitive probing system, integrated media player, and HaasConnect, enabling machine operation monitoring from any smart device or computer – all backed up by 24/7 technical support. Laszeray has extensive CNC machining capabilities for post-mold and production machining, including 12 Haas High Speed 4 and 5 Axis Milling Centers and Haas CNC Turning. Whether operating in steel, plastic, aluminum, or more exotic materials, Laszeray employs the latest technology from the best manufacturers in service of our customer goals. Congratulations to our partners at Haas!